This week on G&E The Podcast | Golf & Entrepreneurship we were lucky to have on Maurice Allen, Professional Long Drive Competitor. Maurice was an incredible guest with an even better story. Allen is currently ranked number eight in World Long Drive, was back to back (2015,2016) Volvik Long Drive European Tour Champion, has hit a golf ball 488 Yards with a recorded club head speed of 164 MPH, is the Ambassador of Golf for the Boys and Girls Club of America, and much more. Maurice Allen is a true athlete through and through. He can do it all. Growing up, Allen played just about every sport you can imagine. Every sport but golf. This was surprising to hear considering his long list of accomplishments in the game. Believe it or not, Maurice’s career with golf started with a simple bet. Allen was visiting a friend who owned a golf store. 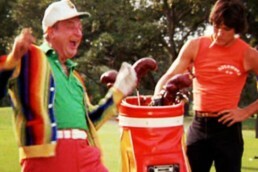 The bet, he was not athletic enough to hit a golf ball. The result, He hit a 7 iron 230 something yards. Maurice’s friend immediately told him he had to give Long Drive competitions a try. That same day Maurice signed up for a qualifier bashing a golf ball 389 yards. Unfortunately, it was out of bounds, but Allen realized that this was something he could do. And do it well. In 2011, prior to picking up a driver, Maurice was in school pursuing a doctorate with the goal of becoming a chiropractor. Every moment of free time he had was becoming dedicated to hitting the range. He started to realize that he had an opportunity to turn his new passion into a career. Maurice decided to put academia on hold and take his chances of becoming a professional long drive competitor. So began a long journey. One that has had him travel all over the world. It has been filled with ups and downs. 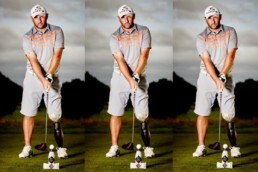 It is the reason why he has such a passion for the sport when you see him competing on the Golf Channel. To get to where he is today took an incredible amount of self-belief. 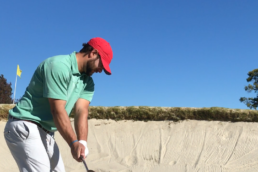 Deciding to leave school and pursue a career in long drive meant taking the harder route. It was not going to be easy. He knew that but he believed that he was destined for something greater. For a time being at the beginning of his career, Maurice was homeless. For three months, he slept in his car and on people’s couches while competing and making ends meet. This kind of sacrifice eventually led to a break year. In 2015, Allen was competing on the Long Drivers European Tour. He was victorious in Sweden, Belgium, and Italy. 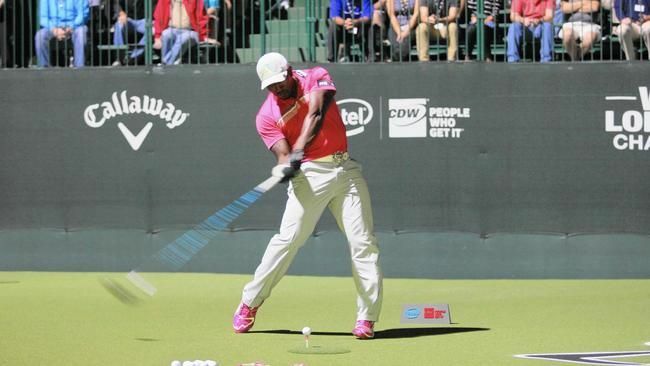 These wins earned him an exemption into the 2015 World Long Drive Championship where he finished tied for ninth. He topped off the remarkable year being allotted Champion of the Volvik Long Drive European Tour for occupying the number one spot throughout all nine events. Maurice has big plans for his future with golf. Along with having a very successful 2017 season in World Long Drive, Allen is planning on giving it a go at either Web.com or PGA Tour Canada Q-School. Along with his professional goals, Allen believes to his core in giving back to the community. He is highly involved with the Boys and Girls Club of America being appointed Ambassador of Golf in 2013. He also works closely with the Orlando Youth Minority Golf Association (OYMGA). The OYMGA teaches kids the game of golf and the character attributes that the sport can help you develop. His goal is to show the kids that there are all sorts of different things you can do with this amazing game of golf. It was an honor to have Maurice on the Podcast and I hope you all enjoy his insights as much as I did. Throughout our conversation, we dive deep into his beginnings with long drive, the work ethic necessary for success, why giving back to the community is so important to him, and so much more. So what?! So let’s dance! !